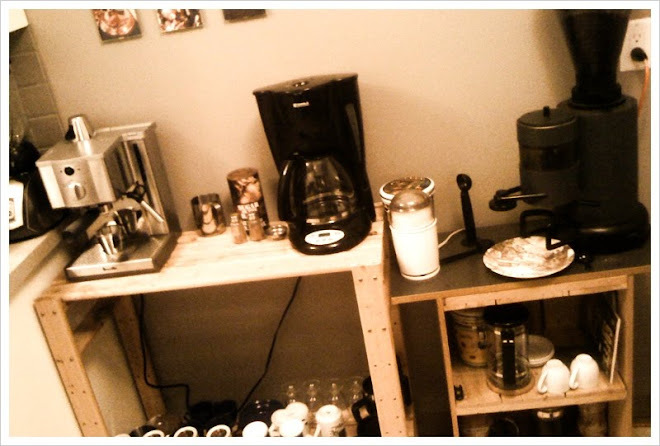 I guess it's partially out of making full use of awarmcupofcoffee.com, the blog address I pay a menial amount of money to own, along with the simple task of keeping myself from doing absolutely nothing on evenings of rest (as doing nothing actually isn't all that restful for me) that I have begun regularly updating this blog. There is something comforting about sharing ones thoughts, even when you are unsure if anyone will take the time to read. Today brings the tale of unexpected memories found in the most unlikely of places- a paper bag. If you're my age or older you probably remember those paper grocery bags. Yes kids, there was a day before the plastic grocery bag, and I remember it well. Coming home with my parents from grocery shopping for a family of 5, stacking those huge paper bags full of edible goodneses on the table for the grand unpacking (and the challenge of finding room in the fridge and cupboards to put everything.) The bags always had advertisements or public notices printed on them, and so part of the unpacking time- probably too much for my parent's liking- was taken up reading the bags. It's amazing what can bring wonder to the eyes of a child, but I remember those times well. Memory however is a strange thing, and we don't always know we have the memories until something jolts them back to life. In this case, it began with my drive home from work this evening. As I was stopped at a red light at Fermor and St.Annes, I noticed a woman crossing the street with a paper grocery bag in her arms. I honestly didn't realize they made them anymore, but the thought was a momentary one and I continued on my way at the beckon of the green light. 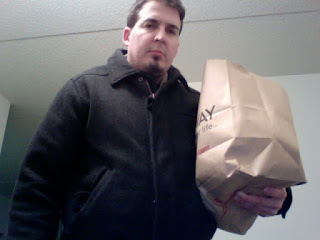 This evening however came time to do some grocery shopping, and as I drove the short drive to Safeway I realized that once again I forgot my reusable tote bags. Seriously, I have like 10 of them in my closet, but I just forget to take them with me when I run to the store. I'm a terrible environmentalist in that as much as I really do care about the environment, it seems like every good step I take is followed by a more damaging one. However, I do make an effort at recycling my garbage and avoiding plastic bags - I'm just really bad at the second one. "Aha," I thought to myself. "I'll ask for a paper bag." It was actually kind of funny when I asked the clerk for paper instead of plastic. She paused momentarily as if no one had ever asked the question, and then suddenly smiled as if it say "Oh... I know what you mean!" As she rummaged through the shelf under her counter for the paper bags, I could almost imagine her pulling one out and blowing off the thick layer of dust accumulated by years of neglect. Okay, it wasn't quite that dramatic- she found them easily. However, as she checked my items it was evident that she had never really packed a paper bag before. I however was suddenly overwhelmed with memories from my childhood. It just all came back in that moment, everything from the sight of the bags on the kitchen table (incidentally I'm just remembering as I write this that the same kitchen table I grew up with now sits here in my own apartment), to the color of my kitchen growing up and the pattern on the vinyl floor. These are warm memories, reminders of a good life that I am blessed to say has only continued. I think I'll use paper bags from now on. Somehow even the feeling of stacking the bag under my arm as I walk to and from the car is comfortingly nostalgic, and I kinda like it.